The FEG AP~MBP is a pistol very similar to the PA-63 except in 7.65mm instead of 9x18 Makarov. Being a direct blowback design, these lessor cartridges still have considerable recoil, so in my opinion the smaller chambering of the AP-MBP makes this gun more enjoyable to shoot. This gun was used in Hungary during the communist era as a government issued firearm. My understanding is that they were issued by the Hungarian Police from 1950 to 1957. 7.65mm Browning, also known as .32 ACP and .32 auto, is often considered an anemic chambering by Americans, but in Europe it has commonly been accepted as a military and police cartridge. The FEG AP is very similar to the German Walther PP but the design has been slightly modified by FEG. It features an aluminum frame. It holds 8 rounds of 7.65mm Browning in the magazine. It has a safety decocker lever and is a traditional double action firearm. The double action pull is very long and heavy. The gun weighs in at approximately 20 ounces. These guns are presently available as military surplus, but FEG is defunct. So if you want one, now is the time to get one. 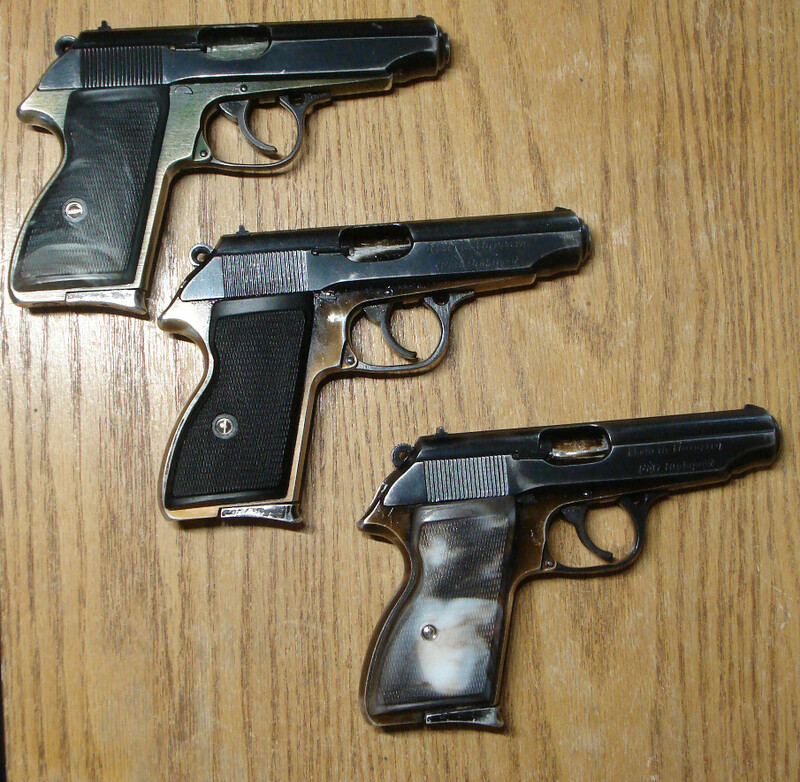 I have three examples, and so far, after firing a few boxes of Fiocchi .32 ACP I have not had any stoppages. These guns are good for someone with small hands who does not appreciate a lot of recoil. Personally, I find them a bit snappy and less tolerable than my Beretta 92FS in 9mm, but my mother thinks the recoil is far nicer than the Beretta 92FS. Subjectively, I feel that this gun has less recoil than the Beretta Tomcat, more recoil than the Beretta 1935, and more recoil than the Kel-Tec P32. The Kel-Tec P32 has less recoil because of its locked breech design. The trigger reach on this gun is greater than the aforementioned guns.